Announced today, The Flaming Lips were added to the line-up for the 21st Annual Tibet House US Benefit Concert at Carnegie Hall on Thursday, March 3, 2011 at 7:30 PM. 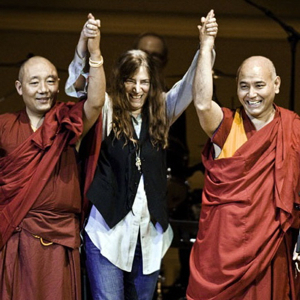 The concert – curated by artistic director Philip Glass – will also feature Michael Stipe, The Roots, Patti Smith (pictured left with two monks) and Jesse Smith, Taj Mahal, Michael Campbell, Angelique Kidjo and James McCartney. Who knew Glass had such hip taste in music? Asside from being a fund-raiser, The Tibet House US Benefit Concert commemorates the Monlam Prayer Festival of the Tibetan New Year. 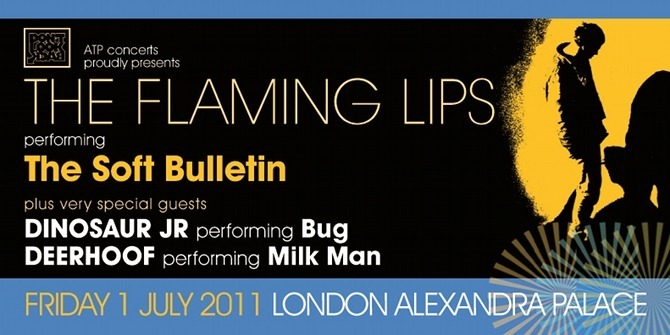 So in that sense, this will be The Flaming Lips’ second New Year show in about two months’ time! Most likely each artist will only play three or less songs – but what a blend it will be – and what a unique setting! When else can you see the Lips at Carnegie Hall back-to-back with Philip Glass?! 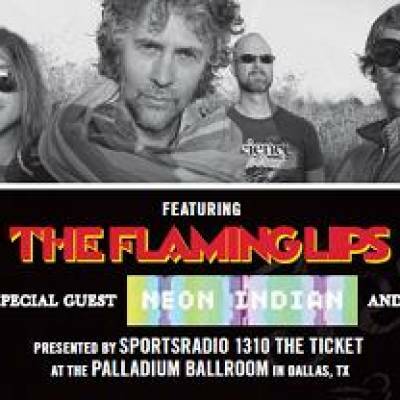 Though no details have been revealed yet, hopefully The Flaming Lips will pull out something special for the concert – like say, playing with an orchestra (ala their show with the OKC Philharmonic last June 13th). There’s no word yet if Ray Suen will join them again on violin, harp, timpani, keyboard and gong – as he did for the NYE Freak-out – but however they pull it off, this is sure to be a memorable show. Tickets ($44.58) go on sale Saturday, January 29 at noon here. Chicago is a crucial city in the history of The Flaming Lips and since the early ’90s they’ve played the Aragon – a legendary venue that was a top midwest ballroom in the big band era, a rowdy rawk hall in the ’70s and a top alternative/ indie stage for the past two decades. Most famously the Lips played the Aragon with The White Stripes on New Year’s Eve 2003-2004. Trivia of the day #2: Novelist Tiffany Murray was at that New Year show and was so impressed that she set a scene at the Aragon in her recent book, Diamond Star Halo. March 6 – Avon, CO – Nottingham Park – Snow Ball Festival (with Bassnectar, Local Natives and many others – the line-up is scheduled to be announced today; this festival combines music with outdoor winter sports and in sure to be unique). Ticket options include ‘music only’ or ‘music and chair lift’; more info here).